everyone is your best friend! 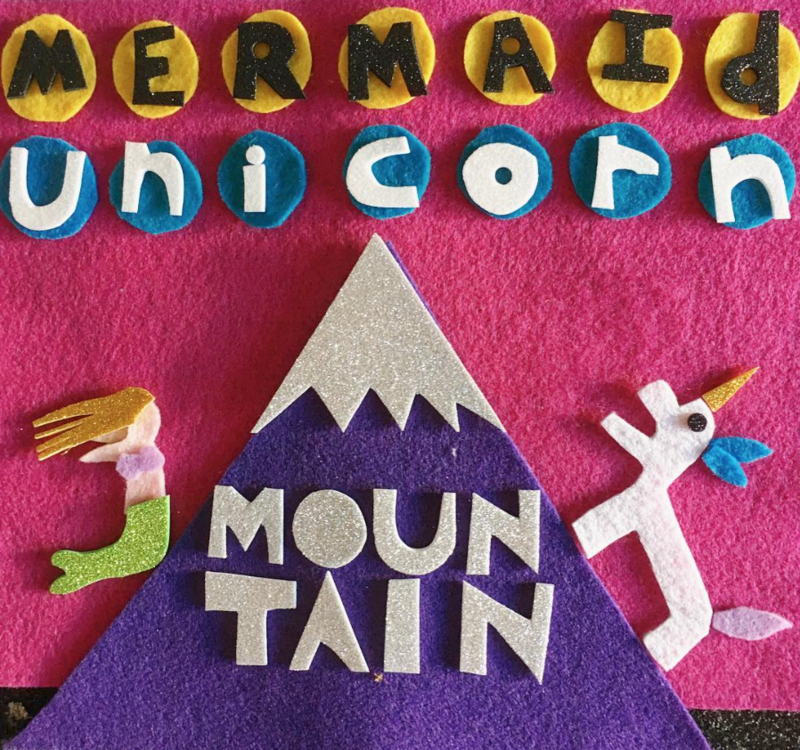 Come and visit Mermaid Unicorn Mountain, where everyone is your best friend! A state of mind and a band, Mermaid Unicorn Mountain is here to help. Songs made of sounds from casio keyboards and toy instruments and singing. Songs about planets, vampires, dinosaurs, ghosts, and forgetting things. Songs with fun masks and some puppets and some singing along. Including but not limited to the music-sounds of Marty Allen (of Uncle Monsterface) and Joe Jakubowski (of OK Glass), Mermaid Unicorn Mountain is a band crafting fun songs for dark times. Listen up and get down. 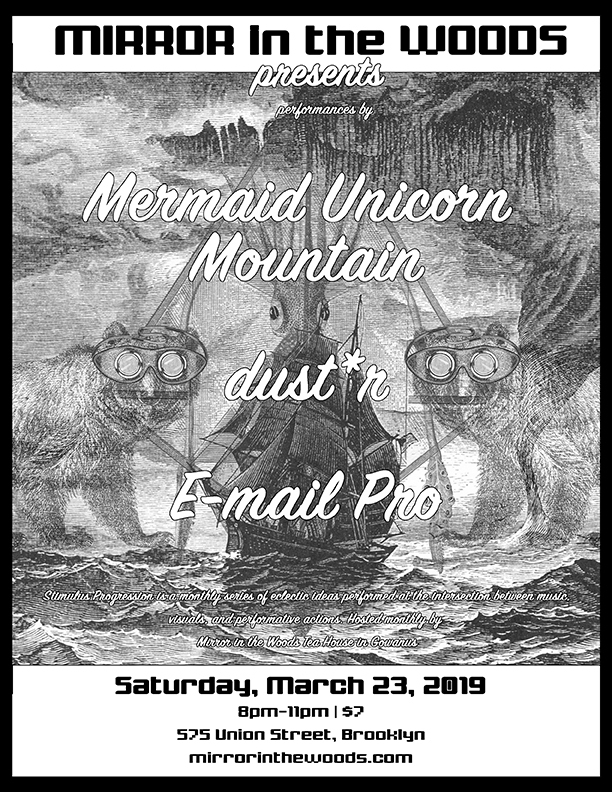 Mermaid Unicorn Mountain is playing the Stimulus Progression series on March 23rd at the Mirror Tea House, situated on the radioactive Gowanus canal. Facebook just got served a subpoena but they still have the details on this show. Come be friends!